Best Vlogging Camera of 2017- Don't Buy Without Reading this Guide! You want to start vlogging, but don’t even know how or where to buy the best vlogging camera. You think of the times how your favorite YouTube vloggers captured some of the best moments of their life and got an intense urge to do the same. You have budget constraints that prevent you from getting the best vlogging camera in the market, and your friends have no clue what you’re talking about. Sure, you pull out your iPhone and slap a few clips together and yourself a vlogger, but that’s not the way how pros do it. Not even close! Vlogging is a multi-million dollar industry, and if you want to get a hold of few of those many million $$ floating around, then it’s crucial you get started the right way. Today, we’re going to teach you how to choose the best camera for your needs and why you need the best camera for vlogging anyway. So, make yourself comfortable, grab a cup of coffee, and get ready to read the best damn vlogging camera guide on the Internet! If you believe you have the passion and talent to produce enjoyable content, then it shouldn’t take you long to be a success story on YouTube. Soon enough, you might be even able to quit your day job and pursue vlogging full time. If you’re still not convinced, take a look at the infographic below on why video sells and how you can claim a stake on the many millions being exchanged every day. Check out more video statistics and facts HERE! While we’d like to say that you should go ahead and spend a few thousand dollars to get the best camera for vlogging, we understand and acknowledge that not many of you can afford them. There is no need for you to make a sad face and walk away because we are going to suggest the best cameras for vlogging in a variety of price ranges. For the sake of maintaining quality, we’re going to steer clear of those $ 100 models that promise you the world but end up falling flat on their face. We love cheap stuff, but we don’t want your money to go to waste. Keep on reading to find out more. We are proud to introduce Sony DSCWX220/B, which is one of the best and cheapest full HD (1080p) cameras in the market. Aside from the fact that you are getting a good vlogging camera that is more than just affordable, this model also comes with the capability to record at 60 frames per second in 1080p quality. The camera comes with an 18.2-megapixel sensor that performs quite well in low light conditions. Thanks to the BIONZ X engine, the model also captures video in gorgeous details while eliminating noise. The camera offers optical zoom up to 10x and even gives you the power to prevent motion blur and stabilize shaky footage. Some other noteworthy features include Motion Shot Video that clearly traces subject movement, still image output in 4K quality using HDMI, 360 degrees sweep panorama mode, and easy connectivity to smartphones using Wi-Fi. Okay, we have to admit that we did quite a bit of research to find the absolute best camera for vlogging under the $ 300 price mark. It turns out, it is a product from Canon after all that takes the best spot for cameras for beginners. This model records videos at a breathtaking 1080p quality and gives you the option to record in 24, 30, and 60 FPS video formats. Canon PowerShot SX710 HS captures stunning frames thanks to its 20.3-megapixel camera with High-Sensitivity CMOS sensor. Besides, it is a pro in filming in low light situations too. Thanks to Intelligent IS coupled with Zoom Framing Assist; this camera can handle a variety of harsh filming conditions by adjusting shake and keeping your subject in focus. Want to film a subject or yourself standing far away from the camera, no worries, the 30x optical zoom will get your view exactly where you want. Be it on the top of a mountain or far away into the woods, expect to capture moments in vivid detail – every single time. Who hasn’t heard of the GoPro’s? You know… the revolutionary brand of action cams that are taking the world by storm. Well, you’ll be glad to know that you use can these babies for regular vlogging and not just while jumping off an airplane or riding downhill on a sports bike. The GoPro HERO4 offers a built-in touch display for fluid controls, short framing, and smooth playback. It has video capture capability in either 720p on 1080p going up to 120 FPS and 60 FPS respectively. Wi-Fi and Bluetooth support, whose functions are accentuated using features like Smart Remote and GoPro App. Its portability is outstanding, features super wide-angle for close-up shots, fish eye for indoor filming, and easy to follow LCD screen. Oh! Did we forget to mention that this model is waterproof as well? You should get yourself one of these little cameras if adventure and excitement are your true calling. We are going, to be honest with you; there aren’t many good vlogging cameras available in the $400- $600 price mark. That is why we decided to skip directly to $ 700 instead of beating around the bush. We highly recommend that you buy the Canon PowerShot G7 X Mark II if you can afford because it is the best point-and-shoot style camera meant for vlogging. This model has everything one would expect out of a $ 600-$ 700 price range camera. Its 20.2 megapixel CMOS sensor combines the company’s DIGIC 7 Image Processor to take breathtakingly beautiful shots. It performs well in low light situations and captures 1080p videos in 60 FPS. It is more than just a good vlogging camera, no doubt. Since its release, critics have highly praised the camera’s autofocus capability and heralded it as one of the best in the industry. However, the clicking sound that the auto focus ring makes can be a bit distracting. This is a mid-range camera for vloggers with sweet depth of field, easy to focus, and effortless connectivity options. For those who want to take their vlogging game to the next level, the Sony Cyber-Shot DSC-RX100 will let you kill the competition! No, this has very little to do with the “you get what you pay for” cliché. What makes this product one of the best cameras for vlogging are its lightweight frame and slim size. And that is just the beginning of it! Alongside all these features, the Cyber-Shot DSC-RX100 V offers a Zeiss Vario-Sonnar T* lens that has focal length equivalent of 24-70mm in the 35mm format. Using this vlogging camera, you can take your passion to the next level. For those of you who are dead serious about their YouTube career or want to make it big as a vlogger, then the Canon EOS 70D is what you need to step up your game. This model features a 20.2 megapixel CMOS sensor and records at 1080p full HD resolution. YouTubers especially like this model because of its autofocus, which is unparalleled, to say the least. Moreover, the autofocus system is incredibly fast and manages to keep the subject in focus even if there is a moving and shaking involved. This model has a flip screen measuring 3 inches that allow you to change settings, browse menus readjust focus simply by using your touch. To boost the camera’s utility, even more, you can always buy an external microphone or use a separate lens. The next generation Canon 80D is here, but we won’t recommend you to buy it just yet because its cost doesn’t justify its utility. Not right now at least. The simplicity of the 70D’s controls and the fantastic results it manages to deliver makes this one of the best DSLR cameras for vloggers ever made! Those who want to stay one step ahead of the curve should definitely check out 4K vlogging camera is because they are the future. Technology is getting cheaper every day, and it shouldn’t take long for the time to come when 4K vlogs are the standard. Luckily, you don’t have to shell out a fortune to own one of these babies. Sony 4K HD FDRAX33 is the best example! What makes this UHD camera unique is its insanely high-quality video production that blows the quality of other competitive models out of the water. This handy cam has been equipped with the patented ZEISS lens and Balanced Optical SteadyShot that complement each other to provide video footage that’s close to perfect. You can capture 4K videos in either 24 FPS or 30 FPS, and broadcast it LIVE using the Ustream feature. So now you can interact with your audience while you vlog, respond to their questions in real time, and grow your fan base like never before. 5.1 channel microphone, Premium Closer Voice, and Auto Wind Noise Reduction ensure that you always sound like yourself. Why should you consider the honorable mentions as well? If you didn’t check out any of the honorable mentions in our guide, we strongly recommend that you do now. Those products are in our guide for a reason, and it makes perfect sense if anyone decides to buy one of those instead of the ones we’ve reviewed in this guide. For the sake of brevity, we could only mention one camera per section, and the honorable mentions are our way of telling you that you should take those products under considerations as well. After all, the more research you do, the better are your chances of finding the right product. What camera do the famous YouTubers use? By now you must be wondering if any of the best vlogging cameras we mentioned in our guide are used by your favorite YouTube stars or not. Well, of course! Why would we mention these products otherwise? We want you to become a star as well, after all. Want to get the power of a good ol’ Pewds behind you? Get one of the three cameras. The Rockstar of YouTube, with over 10 million subscribers and the winner of People’s Choice Award for Favorite YouTube Star uses Canon PowerShot G7 X to record videos. If you haven’t checked out yet, go ahead and do it! Faze Rain is a professional video gamer who shot to success with his YouTube channel TrickShotting uses the camera Canon PowerShot G7 X to vlog to millions of his fans. Markiplier was undoubtedly one of the best YouTube stars in the world with 16 million subscribers and 6 billion views uses the Canon EOS 70D DSLR camera to film. His net worth is close to $ 10 million! CutiepieMarzia is a 22-year-old Italian vlogger with 7 million subscribers. She mostly makes DIY videos focused on fashion, makeup, foods, and jewelry. 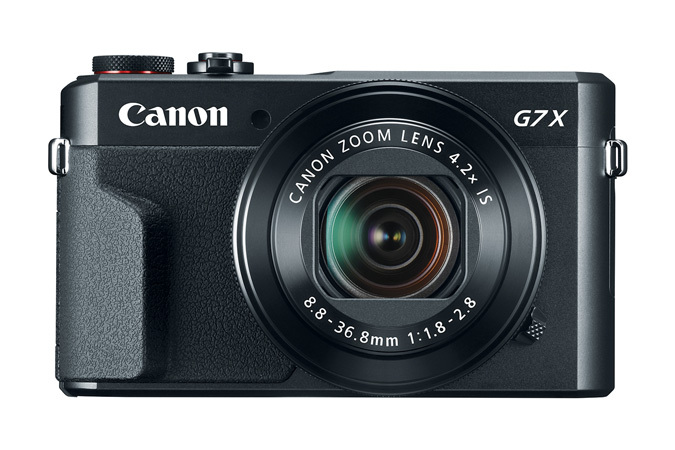 The camera she uses to film her videos is the CanonPower shot G7 X. The 27-year-old YouTube star from Fremont, California, has over 10 million active subscribers and over 1.4 billion views on his videos. Like countless other famous YouTube stars, FouseyTube also uses the CanonPower shot G7 X.
Casey Owen Neistat is a YouTube personality, vlogger, filmmaker, and co-founder of Beme, a multimedia company. He has a subscriber count of over 7.4 million and views going over 1.7 billion. The camera he uses to record his videos is the Canon EOS 70D. 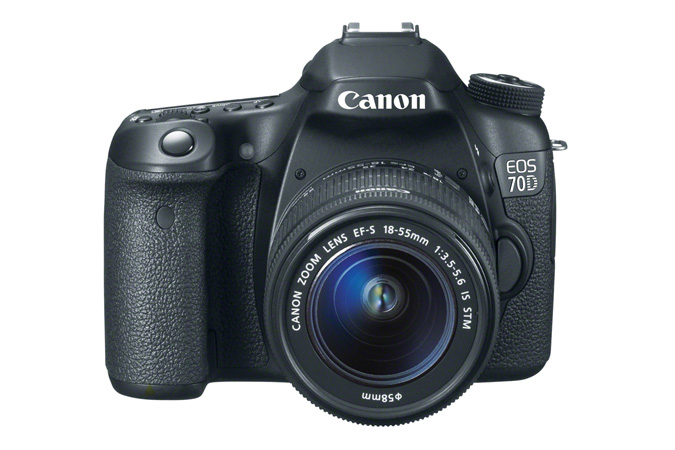 By now, you’ve probably join the dotted lines and have come to the conclusion that the YouTuber’s choice of cameras is either the CanonPowerShot G7 X or Canon EOS 70D. What makes these models so popular? Well, we already discussed these cameras earlier in this guide. For the sake of your clarity, let’s do a comparative analysis of these two brilliant models that have made many YouTube stars what they are today. Stunning picture quality in full HD 1080p format. 3-inch multi-angle LCD screen with 180 ° up and 45° down tilting capability. Best autofocus in this price range. Dual Pixel CMOS AF for quick focus in video and live view. Outstanding video quality, certified by YouTubers. Forget about what all the so-called “gurus” say about filming at 24 frames per second (FPS). The world is changing, and we are no longer limited to the film standard FPS. 24 frames are the bare minimum that is preferred by cinematographers, but there is no reason for you to limit yourself at this rate. 30 FPS is a considerably better frame rate that helps in producing smaller quality videos. 60 FPS is the best as the quality is the smoothest among all. Even YouTube has added support for 60 FPS videos and vloggers are making the best use of it. The point is that you should purchase a product that at least gives you 30 FPS even if you set out to buy a cheap vlogging camera initially. The days of 1080p (FULL HD) has long gone, and the world has already welcomed 4K as a standard resolution for their big screens. No, we’re not going to ask you to spend an outlandish amount of money to buy a 4K / UHD vlogging camera, but it was at least worth a mention. You’ll at least need a camera with full HD support to capture the attention and imagination of your audience. Since more and more people are now buying large screen TVs, you can bet that higher quality is always appreciated. Luckily, almost every modern generation best vlogging camera supports tripod mount. The last thing you’d want is to hold your camera in hand the entire time you’re shooting. If that’s the case, you might end up working your arm muscles more than the expressions on your face. Funny! You also need to buy a good vlogging camera that has a touchscreen because it would allow you to change camera settings without holding it in hand. Just set the baby on the tripod and swivel the LCD screen to alter the configuration. Sounds simple, right? We can name many such instances, but you get the drift. A wide-angle lens is a must have! There is no wizardry involved here because the weight of an angle would determine how much of the scene is captured. No matter where you’re shooting; be it indoor or outdoor is, it’s always a good idea to let your wide-angle lens capture a bit of your surroundings as well. The ideal vlogging camera must be lightweight, or else what’s the point if you can’t even hold it in your hand? The obvious benefit of a lightweight camera is that you can operate for a longer period of time without experiencing any discomfort. Moreover, you can carry them easily on your outdoor adventures without having to worry about putting on too much weight. It doesn’t matter if you’re just getting started as a vlogger or looking for a replacement for the old camera, cheap vlogging camera is what everyone wants! That is of course without sacrificing on quality. If you’ve stumbled on this guide, then thank your lucky stars (just kidding!) that we are about to suggest you the best camera for vlogging at affordable rates. You can also take a look at this evergreen video to know more. Ready to start your vlogging journey? Okay, so far we’ve told you about the things to keep in mind to buy the best vlogging camera, gave you a list of cameras in a wide range of prices, info on the cameras best YouTube vloggers use, and the reason why you should pursue vlogging as a full-time career. If you’re still not convinced about the importance of buying a good vlogging camera, then nothing else we say will. For those of you having Stars in their eyes and an overwhelming desire to kick start your vlogging career, buy one of the models in this guide.